With 5 billion domestic visitors in 2017 swarming into China’s tourist attractions, and the 36 cultural World Heritage sites and 4 mixed World Heritage sites being some of the most concentrated areas for tourists, how to balance heritage conservation and tourism development has become a common challenge for World Heritage managers in China. 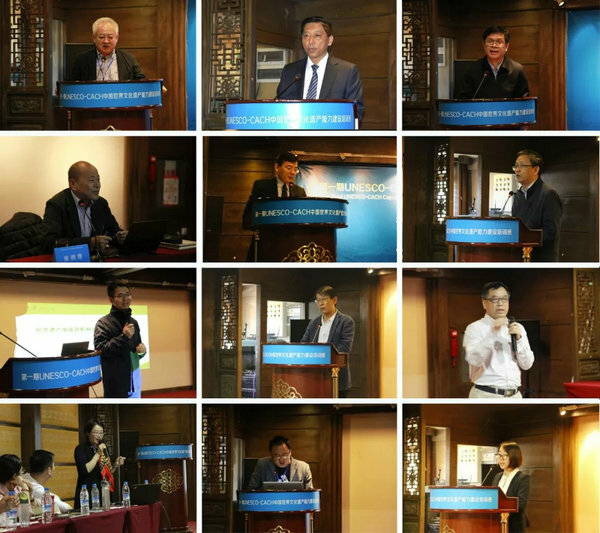 To address this challenge, UNESCO joined hands with Chinese Academy of Cultural Heritage (CACH) to organise a national Capacity Building Workshop on “management and monitoring of World Heritage sites as tourism hotspots”, which took place at the Old Town of Lijiang World Heritage site (Yunnan Province, China) from 23 to 27 April 2018. 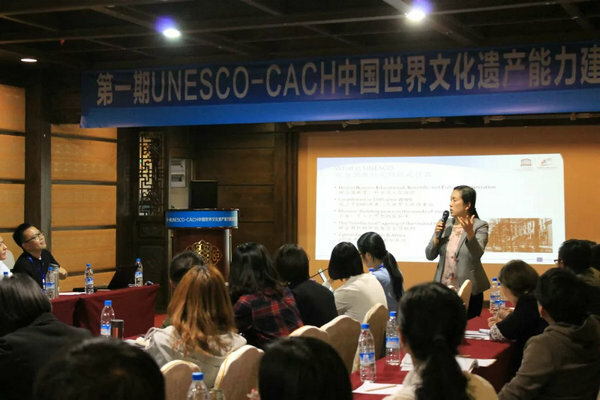 Capacity Building is currently a key part of the UNESCO - China Youth Development Foundation Mercedes-Benz Star Fund project “Conservation and Management of World Heritage Sites in China”. 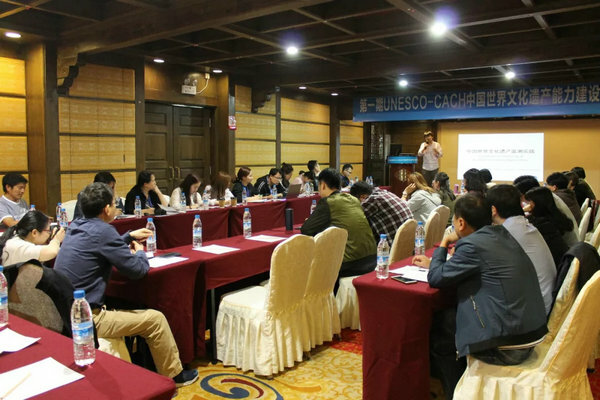 This workshop is the first of a series of 3 workshops for cultural World Heritage site managers in China, together within a three-year capacity building framework aiming to enhance China’s national capacity in implementing the 1972 World Heritage Convention. 31 active managers (48% female) from 31 World Heritage sites in China gathered for this thought-provoking and interaction-focused five-day workshop. 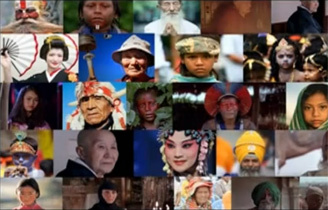 Lecture topics include UNESCO's cultural Conventions and work on World Heritage in China, the journey of cultural heritage conservation in China, World Heritage tourism impact monitoring and management, World Heritage value protection and tourism development, Heritage and Museum and community development, etc. In addition to classroom lectures, participants had the opportunity to utilise methodologies inheritage monitoring to conduct in-depth field visits in the old town. 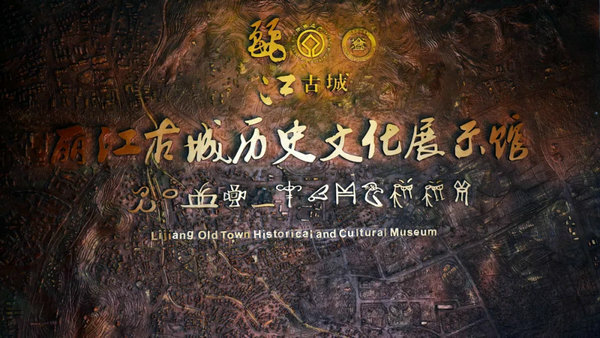 The Old Town of Lijiang, which hosted the workshop, is itself a cultural World Heritage site (inscribed in 1997) and one of the most visited destinations in China, receiving over 40 million touristsover the past year. Lijiang’s popularity brought both prosperity and pressureto the local administration, as criticism against over-commercialisation increased. 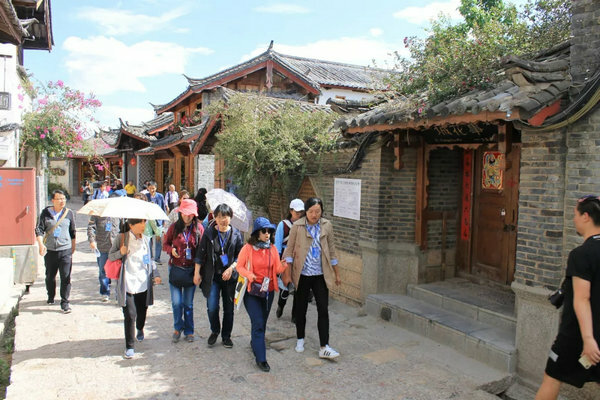 In recent years, Lijiang has been effectively tackling this dilemmaby enriching the cultural soils of the site through programmes such as “Cultural Courtyards”. There are currently 19 “courtyards”, including residence, temple, church, museum, etc., each a unique bearer of the history of the old town and the traditional Naxi culture. The 140-year-old Hengyugong Residence, for instance, is a gem of Naxi architecture and landscape design, with traditional metaphors and family precepts embodied in even the inconspicuous flagstones. 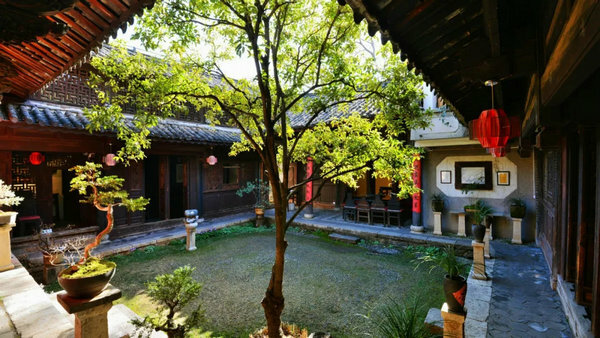 The number of courtyards is still growing: the most recent one -- the Silver Culture Courtyard, which offers a glimpse into the lives of Naxi people through silverware -- opened in February 2018. Lijiang’s endeavours provided a rich and diverse pool of resources in terms of World Heritage conservation and management. 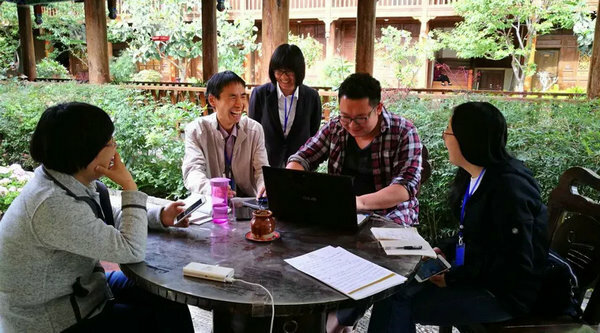 Using the old town as a case study, participants collaborated for group projects on how to improve the conservation and development of cultural World Heritage sites. Topics of their projects include the interpretation and promotion of local traditional culture, risk assessment and countermeasures, the transformation of facades and its impact, stakeholder involvement, reflections on the system of World Heritage site management, etc. The workshop also requires participants to follow-up with an original research paper to elaborate their findings and reflections during the workshop. The collected papers from the workshop series shall serve as an invaluable reference for all cultural World Heritage site managers. The workshop series will also feed into a foreseen set of training materials package, which shall benefit a broader audience both in China and abroad. The Old Town of Lijiang sits in the core of the greater Shangri-La region at the intersection of Yunnan, Sichuan and Tibet. The town, which has more than 800 years of history, was shaped during late Song and early Yuan dynasties, and thrived in the Ming and Qing dynasties. In 1986, it was listed as the second batch of National historical and cultural city. On 4 December 1997, the 21st Session of the World Heritage Commission, it was inscribed to the World Heritage List, with the comment that “Lijiang is an exceptional ancient town set in a dramatic landscape which represents the harmonious fusion of different cultural traditions to produce an urban landscape of outstanding quality”, fulling criteria (ii) (iv) and (v). The Old Town of Lijiang World Heritage site consists of three parts: Dayan Old Town (including the Black Dragon Pool), Baisha and Shuhe housing clusters, spanning a total area of 7.729 km2. Dayan Old Town is its major component. The old town, perfectly adapted to the uneven topography of this key commercial and strategic site, has retained a historic town scape of high quality and authenticity. Its architecture is noteworthy for the blending of elements from several cultures that have come together over many centuries. Lijiang also possesses an ancient water-supply system of great complexity and ingenuity that still functions effectively today.